GET A ORIGINAL COLOR CHIPS FLOORING SYSTEM INSTALLED FOR YOU! ENTER A LOCATION BELOW TO FIND AN INSTALLER IN YOUR AREA. We have over 10 years in flooring experience and have highly-trained professionals on every job. Our Head installer oversees each project and ensures each commercial or residential floor is completed correctly and that each customer is satisfied. 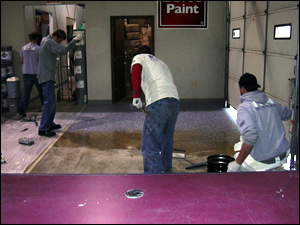 We also make sure our flooring installations are properly prepped for superior adhesion from the start. We have a no short-cut mentality when it comes to preparation and coatings. If we can't personally provide you with a specific service, we have a wide network of other floor contractor specialists that will be able to help you. Contact us for a free residential, commercial, or industrial flooring installation. We look forward to speaking with you about your flooring needs and provide you with a competitive quote. 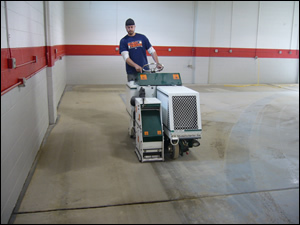 Looking for a commercial or residential floor coating contractor?